Doom 3 is a sci-fi horror first-person shooter developed by id Software and published by Activision. 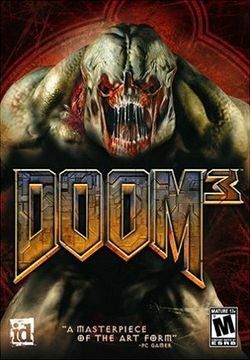 Doom 3: BFG Edition was released on October 16, 2012 for the PlayStation 3 and Xbox 360. This compilation included seven additional levels in a campaign titled The Lost Mission. Set in 2145 in the Union Aerospace Corporation (UAC) research center on Mars, it is a reimagining of the original Doom with a completely new game engine and graphics. This page was last edited on 16 August 2016, at 16:20.